CTN was conceived and launched in 2004 by 30-year animation professional and award winning animator Tina Price. CTN stands as the seminal online community for the worlds leading creators of both traditional and digital animated films. Contributions from these animation artists can be seen in some of the highest grossing films in the history of animation. They come together to showcase their work, market their products and talents, pursue common goals and connect with other professionals, clients and students worldwide. 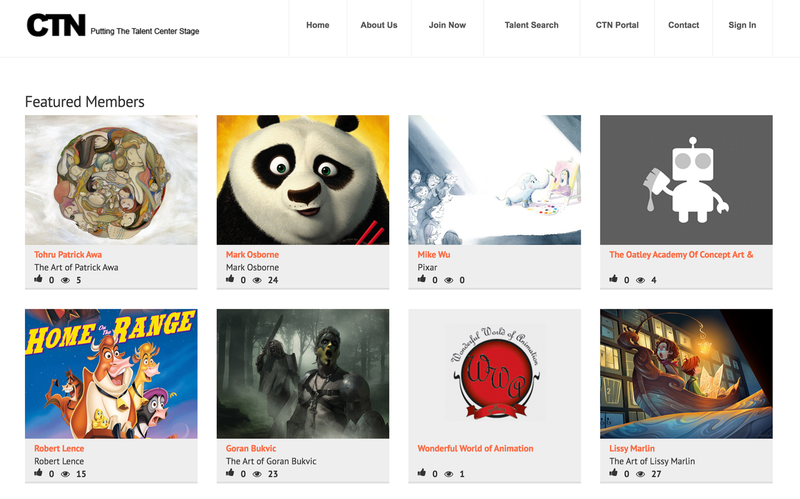 Now known as the community for top talent artists in the animation, visual EFX and video game industries CTN brings our community to you through our online CTN Portal leading you to the Membership, Store, TV and Ticketed Event opportunities. Located in Burbank California CTN online celebrates the talent and gives them a "command central" for their activities both online and off as well as a location for you to connect with them directly. Join their mailing list, like their page and become a fan, contact them directly or post your latest art and project in the CTN activity feed. Sometimes amazing things can happen. Each time an artist sits down to create for a client or for themselves they enter into a mostly solitary world. A world where they are driven to and will passionately reconnect with over and over again during their lifetime. They don't simply spend their time to “copy or recreate” but instead will dedicate their lives nurturing their talent, developing their individual voice, their style and their unique reason to stand out on the landscape. CTN is a self funded professional community with the support of its' sponsors and professional members with all proceeds returning back to the community in the form of upgraded service, promotional events, inspiring workshops and networking opportunities designed to help the talent meet their goals both locally and internationally. Browse these professional pages and let the talent be your roadmap to the future.